Gorgeous town home located on highly desirable street within walking distance to downtown Pilot, great location in a wonderful neighborhood! 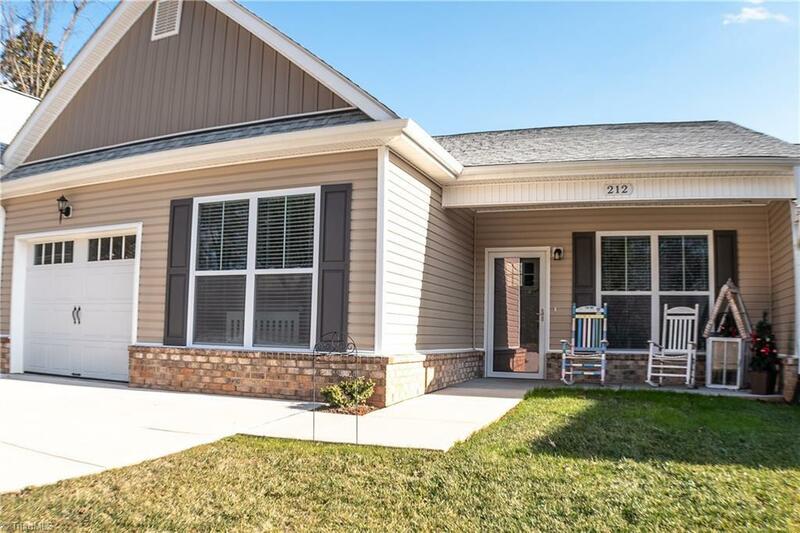 Built in 2017 this energy efficient, move in ready home offers 3bd/2ba/ 1 car garage, spacious open floor plan, stainless steel appliances, covered front porch, screened in back porch, whole house dehumidifier, air exchange, LED lighting, and much more!! Low maintenance living in the heart of Pilot Mountain! 2-10 home warranty to transfer to buyer!